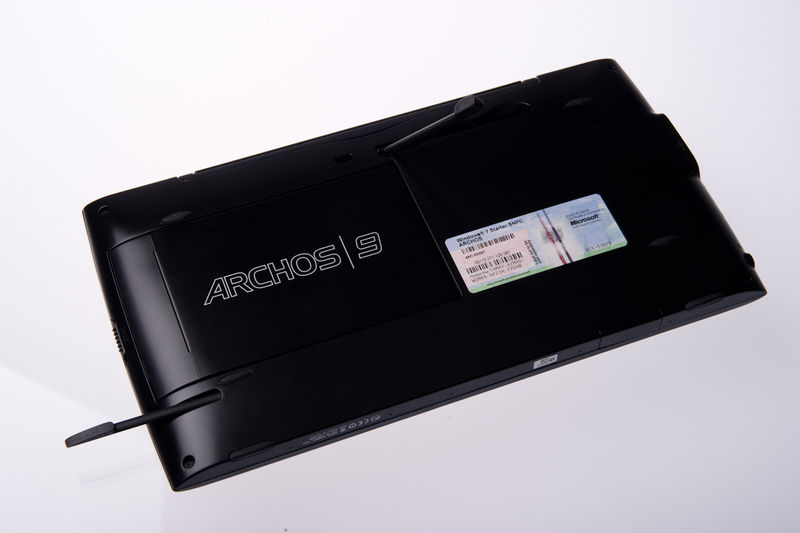 The Archos 9 has been doing the rounds for about a year now and was launched for sale in October 2009, enjoying a good run as one of the few low-cost UMPC style devices to make it into the mass consumer marketplace. Standing at the top of their odd-numbered range of Personal Media Player (PMP)/Tablet style devices, the 9 deviates from their crossover nature by being a full-fledged Windows system, albeit at sub-netbook specifications. Revitalising the appeal for the Archos 9, this weekend Amazon lowered their price to £369 from an RRP of £449 – making this one of the cheapest UMPC devices ever sold officially in the UK. Is there a value equation to be solved here or does the UMPC genre benefit from a few years and the Tablet’s newly-reconigsed status as a consumer product? The Archos 9 follows Archos’ established design model, of black plastic and metal – though the metal is little more than an appliqué on the front in this case rather than a rugged chassis. Whilst it can be said that the 9 is the top of the range numerically, depending on your requirements you can actually spend more on one of their smaller, non-Windows tablets in exchange for significantly more storage, and therein lies the real question that has always hovered over the Ultra-Mobile PC genre; do you want desktop compatibility, desktop-style productivity, or desktop-capacity storage? Few have accomplished a good balance between them and in many cases, Windows can be said to be the barrier to their success. Windows 7 Starter is provided on the Archos; the 60GB HD includes a restore partition and leaves you with 25GB free for storage; whilst that’s a fair bit more than an entry-level 16GB iPad offers for a pure media device, it’s a long way from the mental association inevitable with a 60GB quoted capacity. 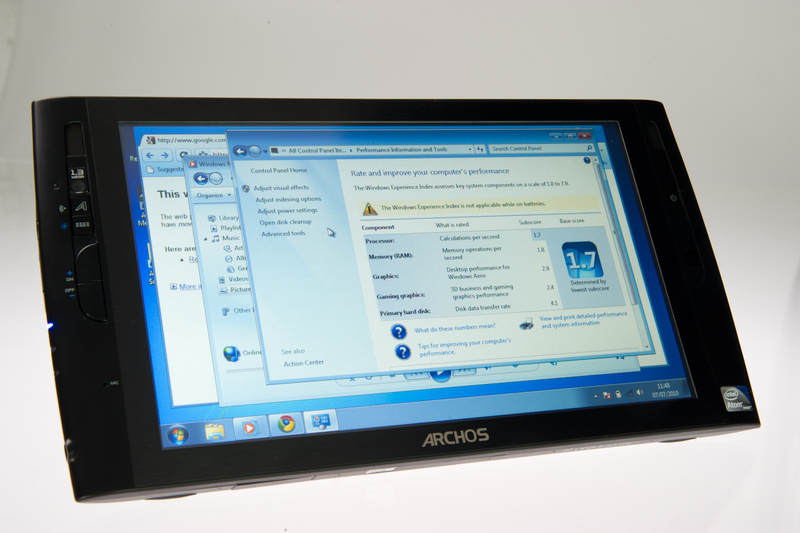 Whilst Windows 7 Starter is fairly typical on Atom-Z netbooks due to the lower system requirements it also lacks touch screen functions – the Archos has a suite of touch apps which are of varying quality and consistency and all needed to be updated out of the box; additionally if you do choose to upgrade to a better version of Windows some of these early drivers can cause the system to baulk at the upgrade. If you’re buying an older Archos 9 from eBay you should check/update the BIOS, as early models didn’t support hibernate and as such can fully drain their battery and lose data in suspend mode. The slim 8.9″ screen device not only packs a true HD into the box, it also sports a 0.3Mp webcam, sensibly located stereo speakers and a very clever infra-red type pointing device – moving your right thumb acts as a very small trackpad, though it does not support taps for clicking; you have two buttons on the left for that purpose. The buttons are placed slightly too low to hold the surprisingly heavy Archos comfortably but you’re unlikely to use them that often since the touchscreen provides a more natural interface most of the time. 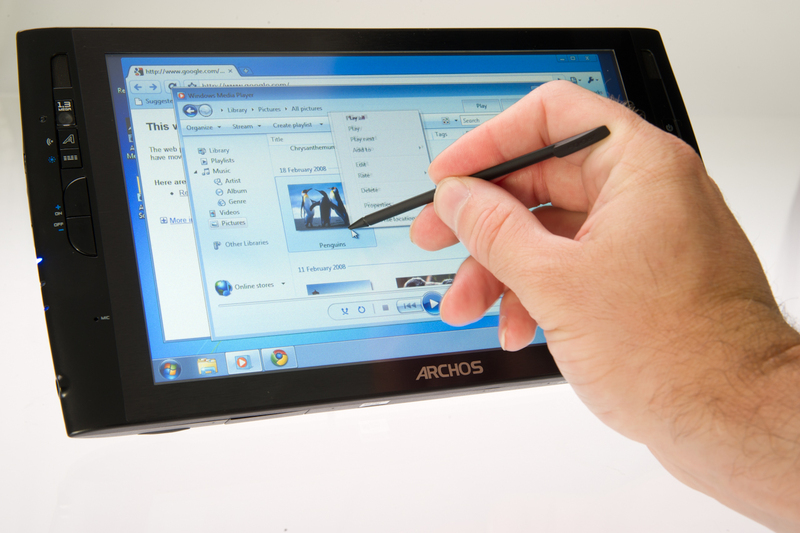 Despite being a device released in 2009, the Archos carries a resistive touchscreen and – missed, but nevertheless quaint in this multi-touch era – a stylus hidden on the rear panel! The back also carries the large, removable battery and a clever telescopic kickstand. There’s 802.11b/g WiFi and bluetooth on board alongside a single USB 2.0 port plus the headphone and power sockets, but there’s no 3G option and curiously, no HDMI or other video output on the unit itself. The stylus is quite horrible – it’s a thin, flexible bit of cheap plastic quite unsuited to prolonged use or a quality product and I opted to use the fat stylus from my DSi XL. With a touch screen, it comes as some surprise to find scrolling and other tasks simply don’t work naturally. As it can’t track multi-touch, gestures and flicks are not properly supported, meaning those (again, quaint) scrollbars on either side of the browser have a purpose again. Whilst I can see how and why this situation has arisen, it’s at the expense of past innovation; the Archos 9 is crying out for a jog/scroll wheel. Old-school tech really does deserve old-school solutions sometimes. Even the little IR tracking device seems underused, serving only to randomly relocate your mouse if your hand brushes it when using the stylus. A simple proximity sensor or even software switch could maybe allow that to go from being a pointing device to a scrolling device. 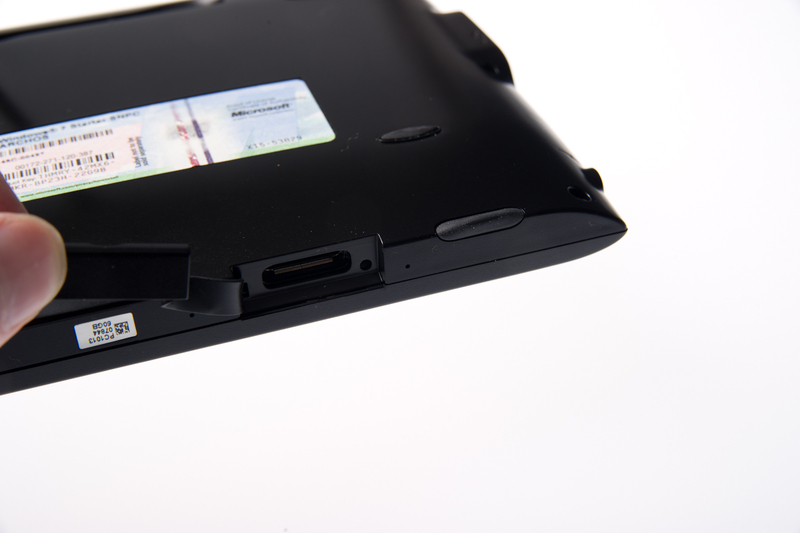 Whilst discussing omissions, this is one of the few UMPC/Tablet devices to skip both any form of display output and any form of card reader/storage expansion. There’s no SD reader on a device marketed by a firm specialising in image-tank style PMPs with up to 500GB storage. The single USB port allows the use of card readers but it’s still a shock to find no provision for an SD card. Finally, Archos has neglected to put a rotation sensor in the Archos 9. 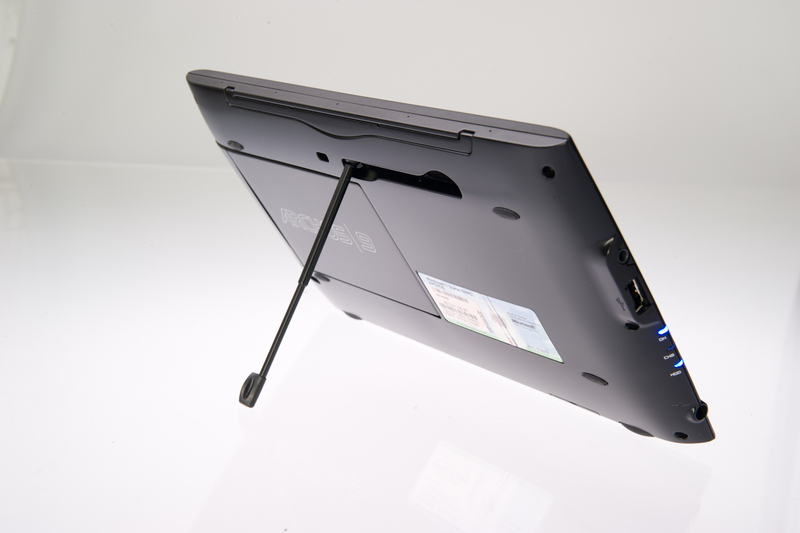 Yes, it has a very clear orientation, but the key to tablets is flexibility. An eBook is more comfortable to read in a portrait layout, a video in landscape. The GMA drivers allows rotation of the screen by hand, but this neglects to inform the trackpad. Underneath there is a dock connector for an optional £69 Archos 9 port expander providing VGA, 2xUSB, audio and 10/100 wired Ethernet. Archos also market a USB keyboard coming in at a weighty £99, which has a cute little design but seems unusually expensive for a non-wireless solution. Archos include some media and productivity applications with the 9 – as well as the keyboard/touch panel software, IBM’s Lotus suite is included (with all this retro, I’m really tempted to see if it fits in a case with a Filofax…) and some tools for using different media formats with the GMA chipset, leveraging Archos’ reputation for handling a wide range of formats in their PMPs. As it stands, the GMA is best supported by Intel’s own drivers and as such bizarrely delivers the best performance in Windows Media Player 12 – good for consistency but flying in the face of every previous experience I’ve had with WMP! The tools I use in the studio for camera control work very well on the Archos 9 – and the stylus-driven interface suits the pointer-driven elements of these desktop apps. Camera Control Pro 2 runs without any issues and it’s only the limited storage that affects how useful such a combination could be with 2 16GB cards in the D3S happily providing days of images to process as it is. Archos also provide Xnview for handling digital images no doubt as a result of their PMP devices’ popularity with photographers. With a Windows Experience score of 1.7 and Geekbench benchmark of only 551 (system set for maximum performance, plugged in) it’s unlikely you’ll want to do anything other than preview images, a task already hampered by the slow 1.8″ drive. The screen quality and speakers are acceptable rather than stunning – and as the tablet market matures, they may even be considered poor. 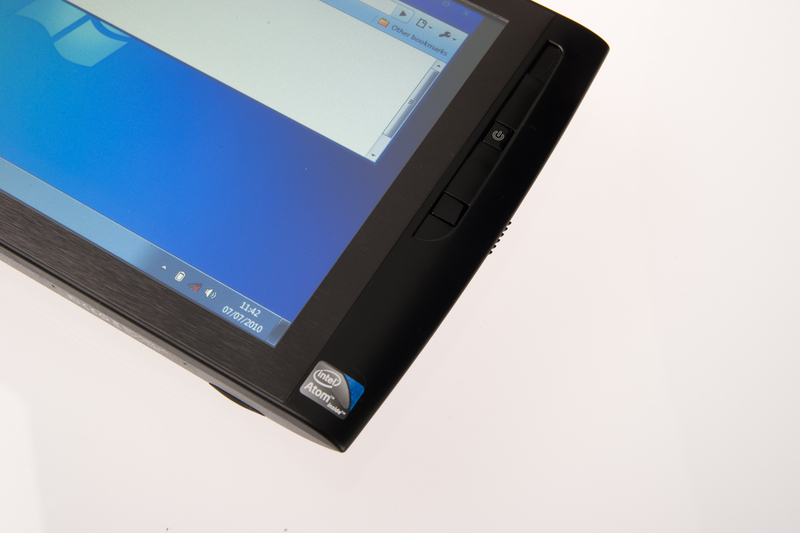 Netbooks offer glossier displays with better viewing angles and contrast for this budget and as capacitive touchscreens become the norm, the slightly opaque feel of an old-school resistive touchscreen is quite a shock. And this is before it’s had a few year’s use; you want a £400 device to last some time and still look pretty after all. Without dedicated media control keys you will want a screen protector as a matter of course, and this will add yet further to the layers between you and the Archos’ LCD. Whilst the speakers are nicer than those on an Eee or similar cheap netbook, the iPad and Dell’s speakers comfortably drowned out the Archos with the iPad showing a clear lead in terms of the bass quality delivered.